Oppo and vivo, both part of the BBK Electronics conglomerate, took part of the China Mobile Partners Conference, currently happening in Beijing. The smartphone companies showcased their own 5G prototypes with the Qualcomm Snapdragon X50 modem in action. 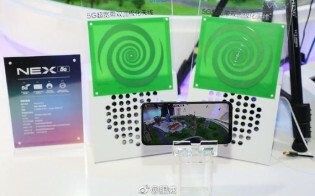 Oppo showcased a Find X that managed to open web pages and stream videos at 5G speeds while hooked to additional server and a remote screen, revealing the massive amount of information, processed in under a second. The other demo included vivo NEX 5G smartphone, which is basically a vivo NEX S unit with the Snapdragon X50 modem. 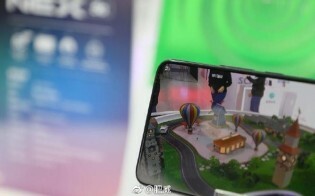 It was constantly streaming live footage from a camera, demonstrating the lack of any package loss during the video transfer through the China Mobile 5G antennas. Another company that revealed its 5G advances was Xiaomi. We already told you about that one – the Mi Mix 3 5G will arrive in Q1 2019 with the next-gen connectivity and Snapdragon 855 without changing the actual form factor. Oppo and vivo, on the other hand, are yet to introduce an actual 5G-based device, but we expect official announcements in early 2019. Previous: Is BlackBerry a Buy?